We had a brief shower of rain go through early on Sunday and a small hiccup with setting up (resolved with the help of awesome volunteers) but we still got our rescheduled Sprint #1 underway at the earlier start time. It was another great event with some hot competition within the age groups as well as overall. The sprint series placings are wide open, so #3 is going to be interesting. RD Barry Sullivan; super helper David Hancock who towed the trailer for us and placed swim bouys; Rowena Eastick & Vicki Woodrow who handled check in; Jude & Greg Murdock got our most important post race refreshments sorted; Tom Marsh, Tom Radford & David Playmore covered transition guard, marshalling & water stops; Craig Rachow stepped up to get our timing sorted and thanks also to those who assisted during the morning including with set up and pack away. Your contribution is greatly appreciated and our events are the success they are, because of the willingness of our members (and friends) to put up their hand to assist. We move on to our final Sprint Series event (NT Sprint Distance C'ships) on Sunday week (9 April 2017). Good news for those who prefer a shorter distance .... we will be including a 200m swim, 13km bike, 2km run option on the day. Note: For pointscore purposes, those members who participate in the short option will be awarded one (1) participation point. More good news: Elite Physiotherapy are supporting Sprint #3 - NT Sprint Distance C'ships. 1. We've added the shorter distance for those who prefer. 2. For this event, short course participants will receive 1 participation point for the pointscore purposes. 3. Medal presentations will take place after this event. We'll have a couple of lucky draws so please stay for those. 1. 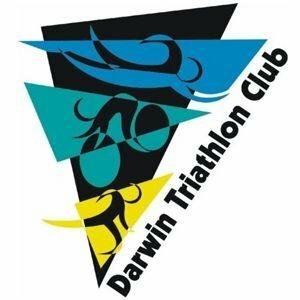 Triathlon Australia has advised that new members joining from tomorrow 1 April 2017 (no joke), will receive up to 15 months membership for price of 12. Membership will be valid until 30 June 2018. 1. Reminder our custom tri gear order closes midday tomorrow Sat 1 April 17. 2. To ensure we get orders back in time for those racing away, no late orders can be taken so don't miss this opportunity. 3. 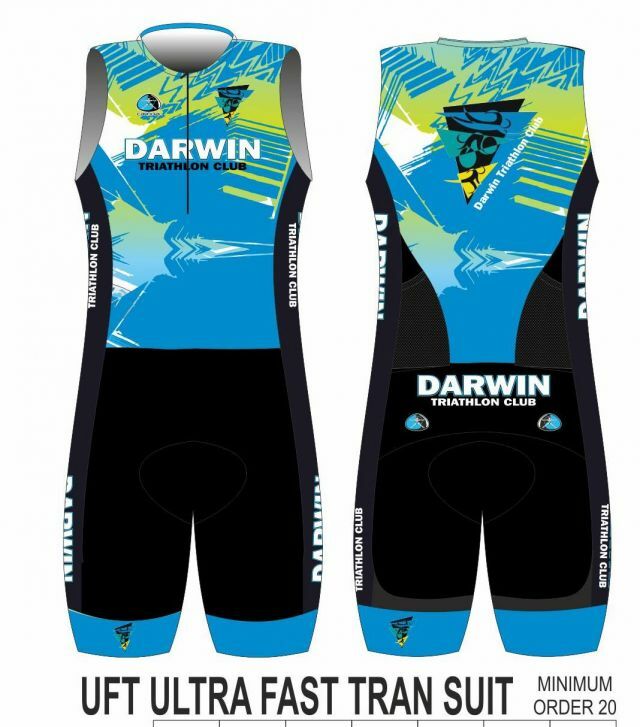 We are offering our sleeveless tri suits, our sleeved tri suits, tri shorts and tri tops. 1. If you want to learn more about the sport, wish to give back to the sport you love, want something to do while not competing or are a supporter of the sport, why not become a Triathlon Australia Technical Official? 2. Already completed the course? We encourage you to do this as a refresher. 3. It's a great way to learn the rules of our sport as well. 1. Wishing Phil Blumberg a speedy recovery from his recent surgery. 2. 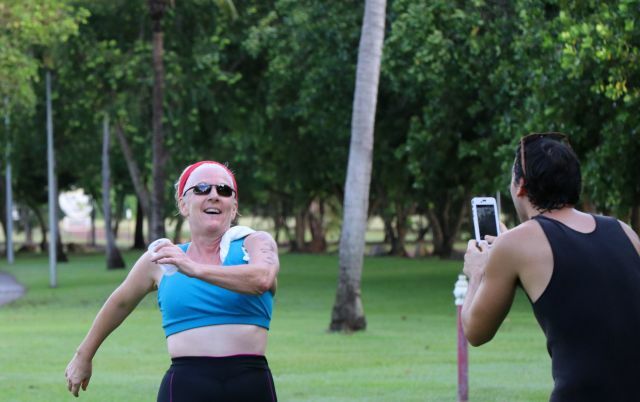 Congrats Jac Crofton on her nomination for NT Masters Sportsperson of the Year - Triathlon at the NT Sports Awards. Jac was one of three finalists in that category. 3. Also popping up in nominations Christine Cakebread & yours truly in Volunteer of Year - Triathlon and Stu Fitch was nominated by Swimming, also in Masters Category. 4. 15 seconds of fame awaits - at Careflight triathlon media launch Thurs 6 April 17, Waterfront 10:45-11:15am Feel free to rock up in DTC gear & get yourself on the news! Or just be part of the crowd. Bikes, swimmers, runners welcome. Further details contact Triathlon NT. 5. Some older stock in our cotton tees have been reduced to clear and we have new colours in the popular lines. Info and order here. 6. Hearing life member Anthony Beven is up an age category. 7. Been advised there is an opening for a team at the Lake Argyle Swim. Interested? I'll put you in touch. 8. On swimming, notice Rachel McLean, Shannon Hercus, Nicholas Tremblay, Kyle Farrier and Megan Gallagher among the medals at NT Swim C'ships. 9. Hats off to Glen Scholz and Luke Hansen after their Cape Epic ride adventure. Looking forward to seeing them back tri-ing soon! 10. Don't forget to get those tri gear orders in! That fabulous finish line feeling!